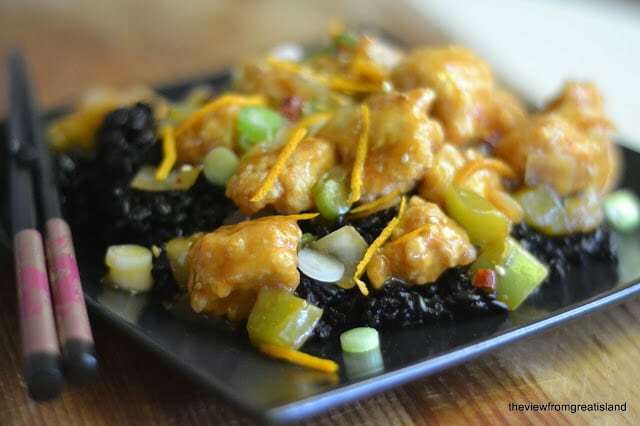 Spicy Tangerine Chicken with Black Rice is an authentic Asian recipe with fabulous flavor, and the black rice makes it extra special! Black rice, aka forbidden or purple rice, is an heirloom variety that has more fiber and nutrition than regular white rice. The color is gorgeous; it starts out jet black and cooks up purplish…another example of the color = nutrition equation. The texture is firm and the flavor is nutty. Whole Foods type stores carry it, and some regular supermarkets are getting better about stocking unusual varieties these days. The brand I bought is Lotus Foods, an interesting specialty rice company dedicated to reviving exotic species of rice and promoting small sustainable farms in remote parts of the world. Their amazing rices come in all shapes and sizes, and jewel tones. If you can’t find it you can buy through their website. I like the spicy/sweet dynamic in this dish so I used dried hot peppers, seeds and all. You can leave out the hot pepper and make the dish all sweet, especially if you’re cooking for kids. My two daughters are huge fans of the big restaurant chain orange chicken, and I know they would love this. The chicken pieces get dunked in a simple mix of egg with a tiny bit of flour and cornstarch, and then flash fried in peanut oil. It keeps the chicken moist and tender while the outside has a little crunch. The chicken takes on another texture altogether after it slides into the thick sauce, and results in the classic tangerine chicken we all know and love. Everything in this Spicy Tangerine Chicken with Black Rice recipe is available in the regular supermarket, with the possible exception of the black rice. You can sometimes find black rice in well stocked supermarkets, but otherwise you can find it on Amazon. It has a dramatic color and a nutty flavor. 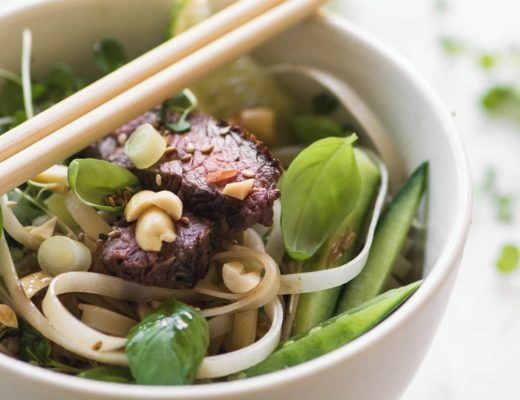 It’s a wonderful ingredient to have on hand, and it doesn’t have to be reserved for Asian recipes. I like to use black rice for stuffings, pilafs, and side dishes of all kinds. First make the chicken. In a medium bowl, whisk the egg and add the flour, cornstarch and salt. Add the chicken pieces right into the bowl and stir to coat. In a deep frying pan or wok, heat about 1/2 inch of peanut oil till quite hot, about 340F. Fry the chicken pieces, in batches, for about 3 minutes total, flipping halfway through till they are golden and cooked through. Don't crowd the pan, and keep the pieces separate as they cook. Drain on a paper towel and set aside. In a new or cleaned pan, heat 2 Tbsp of peanut oil and stir-fry the chilies for about a minute or two. Add the grated ginger and the orange peel and cook for another minute. Add in the onion and green pepper and stir fry for about 5 minutes. In a small bowl or measuring cup mix the sauce: add the soy sauce, hoisin sauce, chili paste, vinegar, sugar, honey and tangerine juice. Add this to the pan and stir to combine and heat till it's boiling. Let it cook for about a minute. Add a little of the cornstarch mix to the pan, just enough to thicken the sauce slightly, you won't need all of it. Add in the chicken, and stir gently to combine everything. Taste to see what you might need to add, maybe a little salt, maybe more vinegar. I sometimes add a squeeze of lemon juice. Serve hot over rice. Garnish with sliced scallions and drizzle each serving with the sesame oil. Sprinkle with sesame seeds. This looks terrific! Here in Europe black rice goes under the name “riso Venere” (from Italy). I’m not sure, but that might help some of you find it! It’s definitely my favorite, it has such a particular taste. Thank you, Sue, your recipes and photos are out of this world, I want to try everything! Thanks for the kind words and the info Nancy! Holy smoke! I made it tonight and it’s out of this world delicious! My slight variation used extra chili peppers (I like it hot), a red pepper for color and dark brown Wehani rice because the black eluded me. This recipe rocks! Thanks Michael, I’m glad you liked it, and I have to agree, when it comes to chili peppers, the more the better! Been shopping for a good tangerine chicken recipe and it looks like we have a winner. What a pretty dish. I can’t remember ever seeing black rice, but maybe I wasn’t paying attention. I will now. Thanks for the post, delicious sounding recipe. 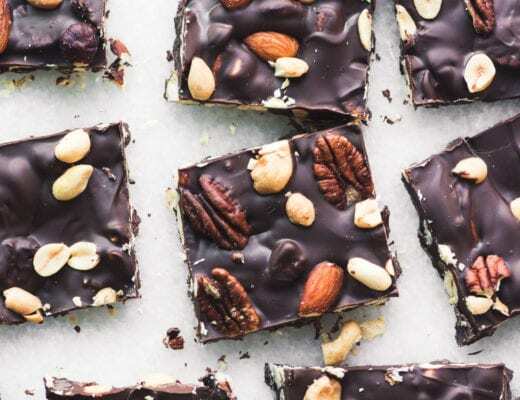 Sue, I could probably bribe my kids with this dish…I am going to try this using gluten free flours. Looks delish! What a pretty chicken dish. The black rice is gorgeous. Great Chinese flavors. So now I need to go searching for black rice, I guess! I’m intrigued. I recently bought red rice but haven’t used it yet…I’m waiting for the perfect meal. This may just be it! 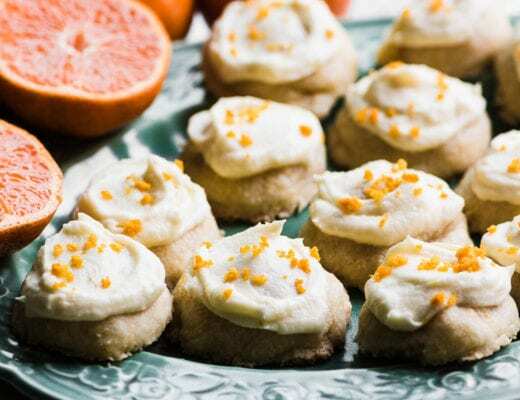 I love the citrus flavor and that it’s a REAL version of a take-out classic! I’ve never had that rice – but this dish has it all – splashes of grand color and just delicious flavors. Hi Sue. This dish reminds me of one the entree I always get at our favorite Chinese restaurant. I love all the flavor combinations this dish brings and especially topped on black rice. I was just looking at a bag of forbidden rice on a recent grocery shopping trip, but I don’t recall where. I typically go to one of three different stores, however it might have been Whole Foods which you mentioned. Your tangerine/orange chicken looks great; it’s one of my favourite dishes! The sauce and black rice sound delicious and creative! Yum, yum and yum! Haven’t tried making any orange flavored chicken but know several people in my family that would be happy if I did! Very nice – have a super Wednesday. Oh my, such lovely photos! That chicken looks wonderful, never had some with tangerine, will have to try it. This sounds FANTASTIC! I have tried no less than four orange chicken recipes in the past few months. I’m a break from them for the time being, but this one will be at the top of my list when I’m ready to try again. I love the tangerine variation! Everything about this looks magical! I love all of the bold colors. The chicken Looks absolutely perfect once fried. Simply put? I want this right now. And I want to find some black rice!